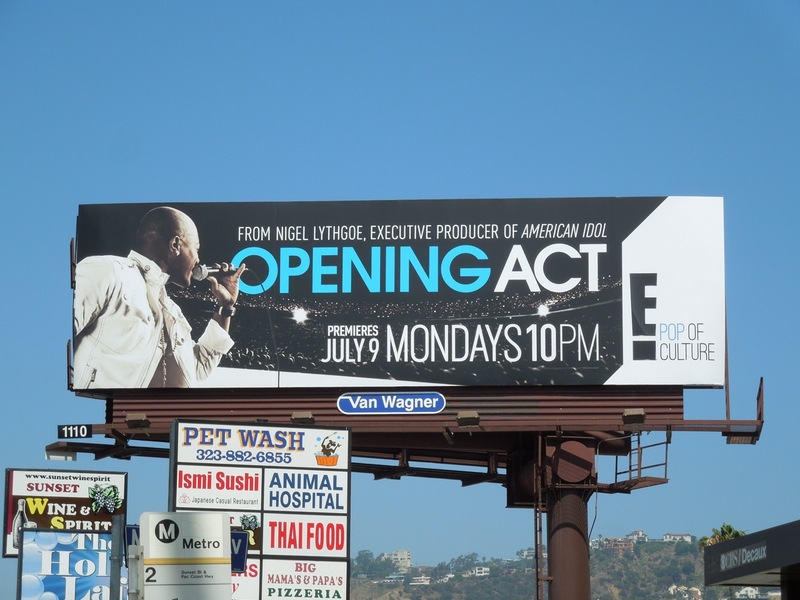 Just when you thought it was safe to turn on your TV, along comes another reality talent show, this time courtesy of E! 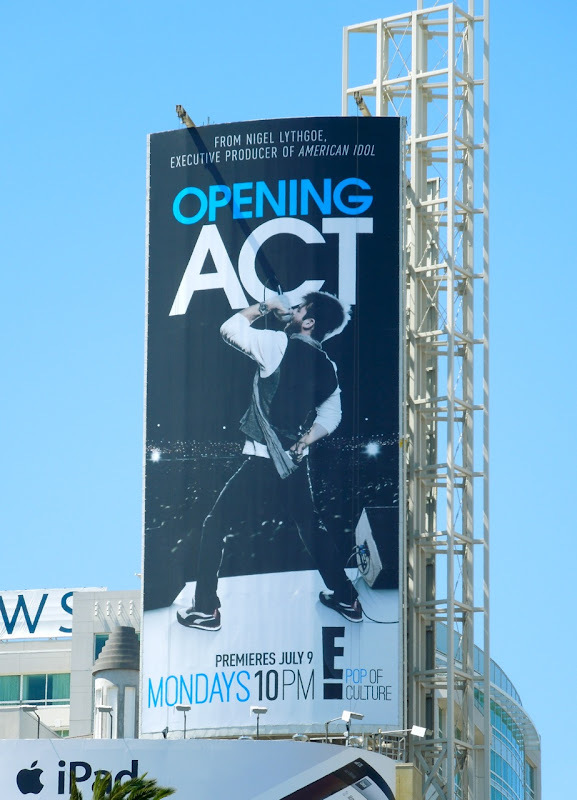 Opening Act sees singers and musicians plucked from obscurity (which means the internet) to warm up the audience for big stars like Nicki Minaj, Rod Stewart, Jason Mraz, LMFAO and more on their live tours. Nigel Lythgoe brings his producing and judging credentials from hit shows like American Idol and So You Think You Can Dance, no doubt hoping that this will be the next America's Got Talent, The Voice or The X Factor. 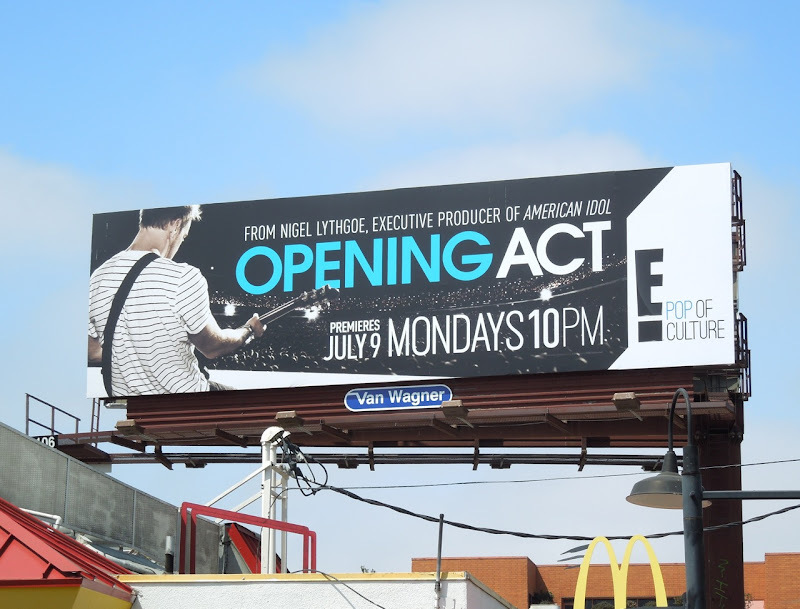 This campaign for the new E! 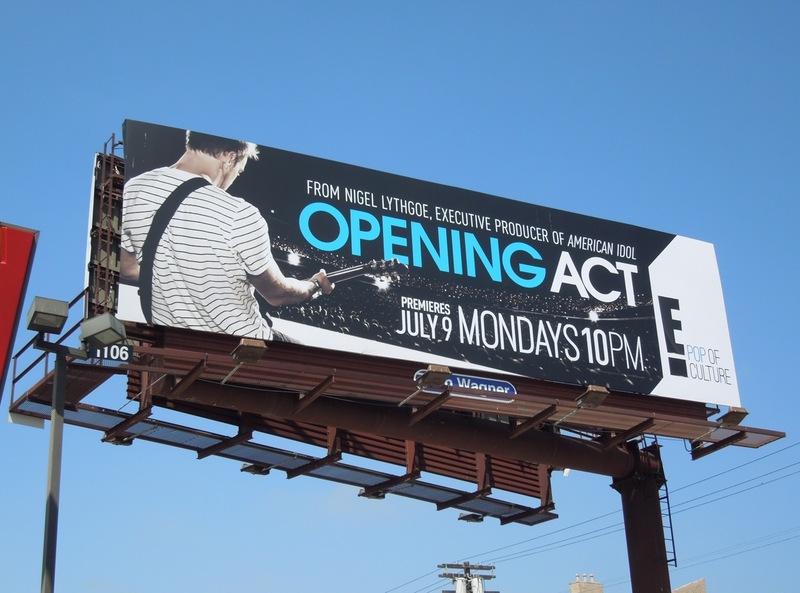 series is pretty striking with its simple black, white and neon blue design and seems to be all over the streets of L.A. at the moment. 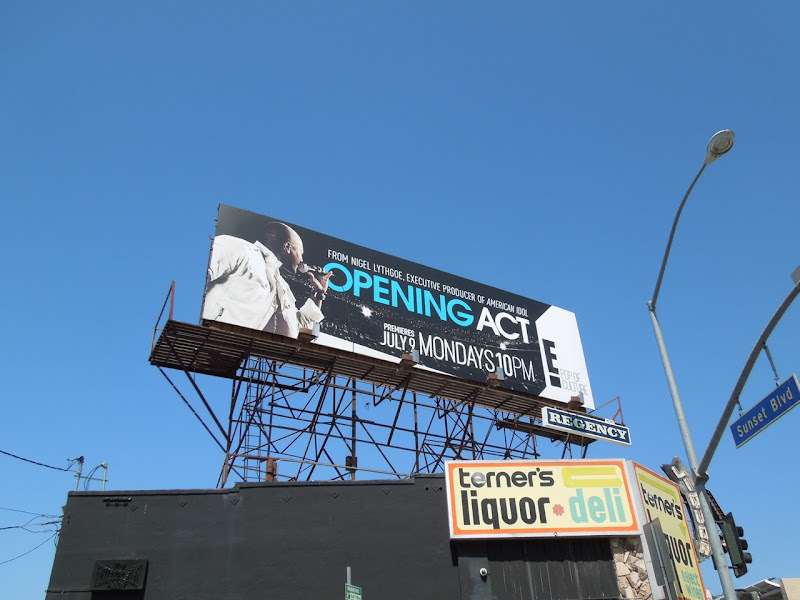 However, oddly enough there don't seem to be any creatives featuring female performers (although Daily Billboard has spied a bus shelter poster). 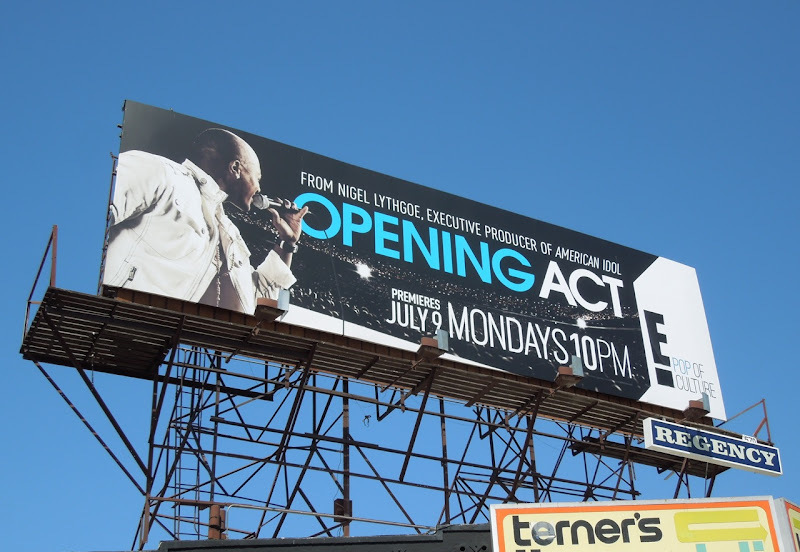 The landscape format billboards were snapped in multiple locations along Sunset Boulevard, plus along Santa Monica Boulevard on June 17, 2012. 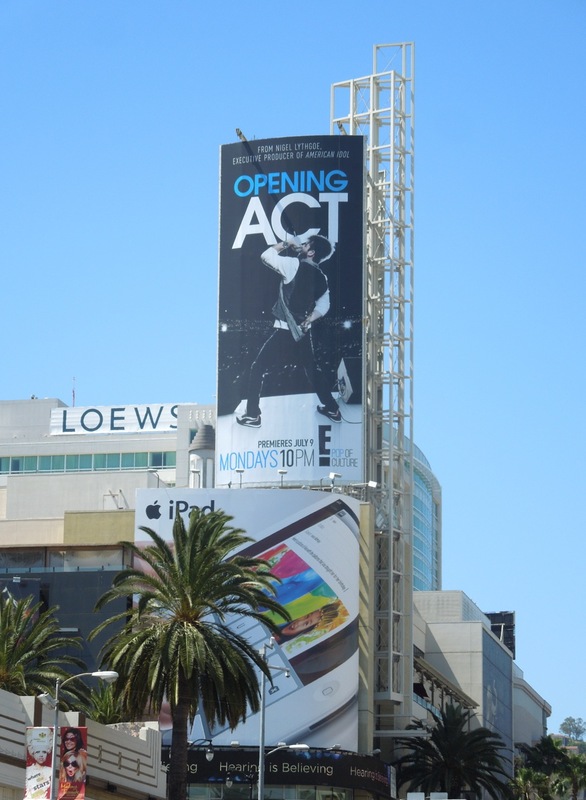 Meanwhile a different portrait creative was spotted standing tall over the busy Hollywood & Highland Center. Only time will tell which unknowns will hit the big time and open for a major star.